Join ACR hosts Hesher, & Spore along with Andy Nowicki of Alt Right Blogspot, Jay Dyer from jaysanalysis.com, Daniel Spaulding of Soul of the East, and Shawn Helton of 21Wire for the 70th episode of BOILER ROOM. 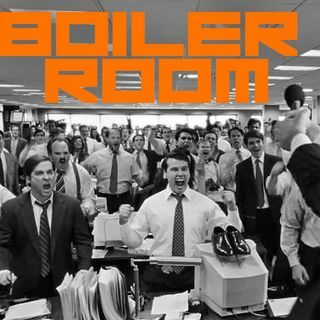 Dim the lights, dawn the headphones and indulge in some Boiler Room with the crew. Tonight we're further discussing cults & Zen Gardner's recent admission of his involvement with the Children of God, the terrible Hollywood train wreck that is the DC Comics film ... See More adaptations, a short study on the whack-a-dos that one comes across in comment threads in social media and the limelight being cast upon the 'alt-right' political sphere as Hillary Clinton plans to falsely paint it as a hateful extremist Donald Trump supporting group.